If you’re looking for a bite to eat in Astoria, you’re in luck! From Greek staples to Italian fare, there’s something to suit everyone’s tastes. And while Astoria may be known for Greek option, there’s plenty of other restaurants you’ll want to try as well. Before you make that dinner reservation, be sure to check out some of the best restaurants in Astoria, NY courtesy of Long Island City Volkswagen! Trattoria L’incontro: If you’re looking for an Italian restaurant in Astoria, this is the place to go. You’ll find plenty of classic Italian pasta choices, in addition to a Raw Bar and a list of daily specials to try out. You can even cater your next event with delicious options from this favorite Italian restaurant. Taverna Kyclades: If you want to hit up the best Greek restaurant in Astoria, you’ll want to dine at Taverna Kyclades. Their lengthy menu includes classic Greek appetizers, main courses both from the land and sea, and an extensive wine list. There are also lunch specials available! Gregory’s 26 Corner Taverna: This is Astoria, so it wouldn’t be a restaurant list without multiple Greek options. If you’re looking for more a more casual vibe, check out this spot for traditional Greek dishes and sidewalk seating when the Astoria weather allows! Yaar: What could be better than a BYOB restaurant? One that offers a $13.95 three-course menu with dishes large enough lunch leftovers the next day, that’s what. Enjoy classic Indian dishes in a space decorated in modern fashion — just be sure to drink responsibly and uses Uber or Lyft if necessary! Tacuba: In the mood for Latin fare? Check out Tacuba. This spacious cantina offers gourmet tacos and fresh ingredient cocktails — Chef Julian Medina considers “fresh” to be the key words of his creations. Tacuba offers a range of cuisine from Mexican to Cubin to Pan Latin, so there’s something for everyone. 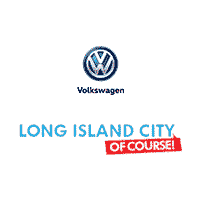 Whether you’re looking for restaurants or bars in Astoria, NY, rely on the team at Long Island City Volkswagen. We’d love to help members of the wider Flushing and Bayside area find spots to dine while in Astoria or even to find restaurants in Flushing, or Thai food in Woodside as well as help locals find new favorite places to dine! Please feel free to reach out with any questions you may have.